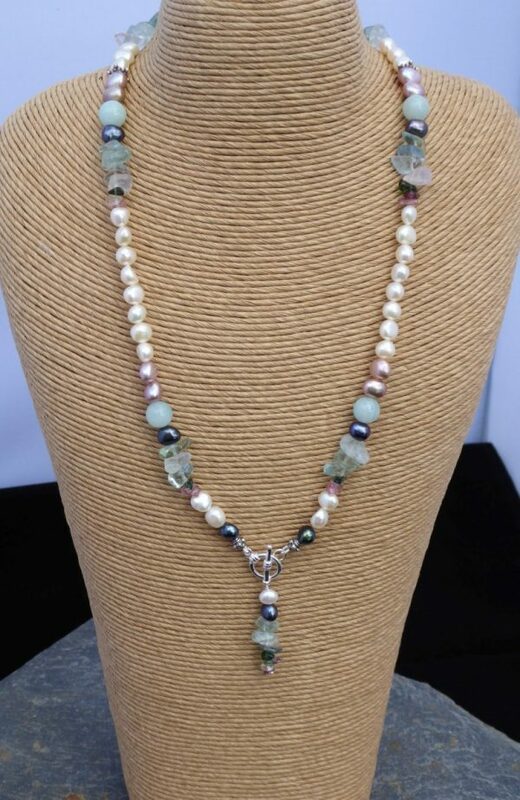 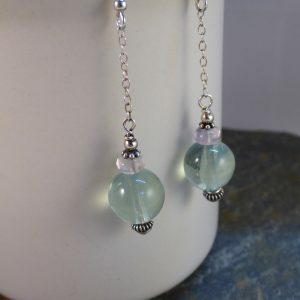 ‘Enchanted Pearl’ blues, greens and teal mixed with pearls. 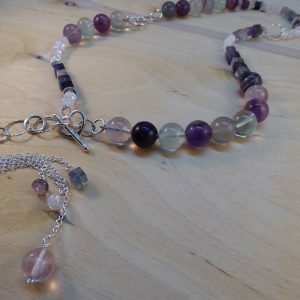 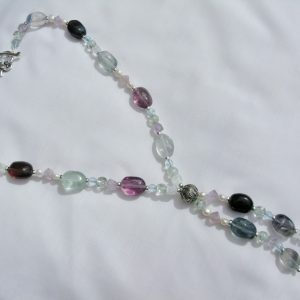 This very popular necklace gives the wearer a little enchantment with the gentle colours. 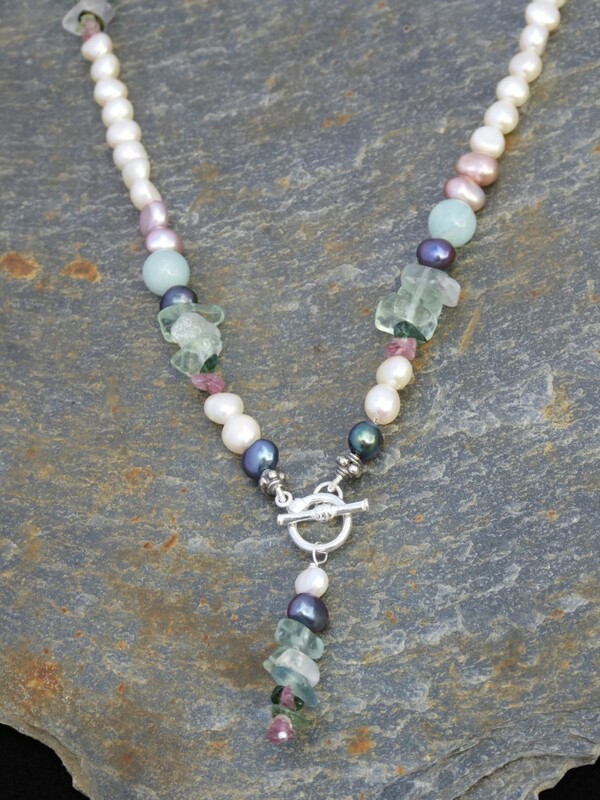 White and pink 6mm freshwater pearls with groups of soft green and lilac fluorite chips, peacock pearls and 8mm round Amazonite. The 18″ necklace fastens at the front on a silver t-bar clasp with a 1.5″ drop charm.